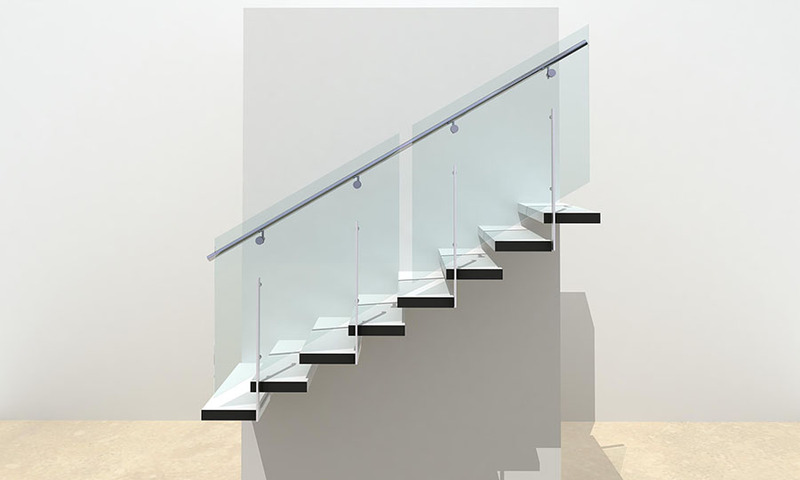 The X1 Series Tread Fixed frameless glass balustrade with flatbar handrail system is designed to fix to the back of cantilevered stair treads on staircases using a central stringer. This balustrade system is suitable for use on; houses, residential buildings and offices with the L4850 tread fix stanchion; and retail buildings with the L5850 tread fix stanchion. 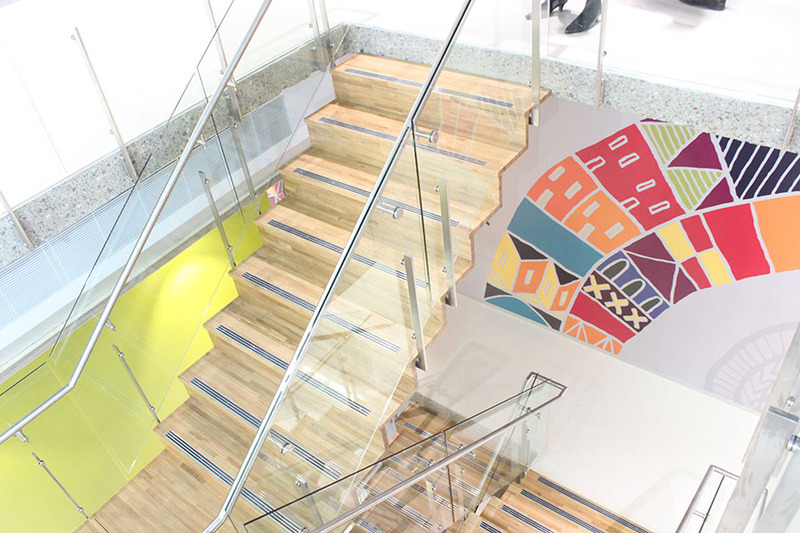 System: THUMP ARCHITECTURAL FITTINGS ‘X1 Series’ – with tread fixed X1TRP stanchions with GR38P handrail with toughened glass glazed infill panels. Handrail to be mounted to internal face of glass with glass mounted to internal face of stanchion.